One of the best things about the JCPenney 2018 Black Friday ad is it has a ton of real deals, but you want to know something even better? JCPenney is offering special coupons to early shoppers this shopping season. The first customers to shop at JCPenney early Thursday can win a $500 coupon, $100 coupon, or $10 coupon. This is for shoppers who visit in-store, and you could be the one to receive any of JCPenney special coupons provided you’re there when they open stores at 2 p.m. Thanksgiving Day. JCPenney 2018 Black Friday deals will be available through November 23 to give you plenty of time to shop for your favorite items. Here are some of JCPenney Black Friday deals that will get you your penny’s worth should you choose to shop at JCPenney this season. While you wouldn’t normally expect a TV deal this good from JCPenney, here it is. Normally sold for $799.99, the 65-inch UHD 4K LG is available at $200 off in the JCPenney 2018 Black Friday ad. Alternatively, you can choose the 55-inch model, also an UHD 4K LED TV for $399.99 only. If you’re familiar with JCPenney Black Friday deals, you know many of them require a mail-in rebate for the advertised price. This is one such offer where you can get any of the cookware sets at a good discount on Black Friday. 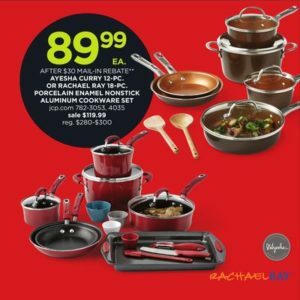 Both are sold at lower prices right now on the website, however on Black Friday you’ll only spend $89.99 on any one cookware set after $30 mail-in rebate. 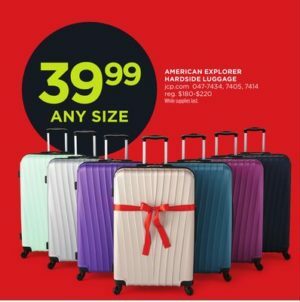 The American Explorer Hardside Luggage (any size) will be available for a good Black Friday price, but the 28-inch model offers the best bang for your buck. At the price of $39.99 down from $220, you’ll save just enough for a few more treats during your holiday travel. 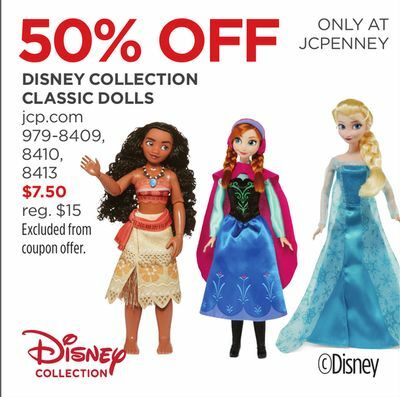 JCPenney is offering a great selection of toys at 50% off this season, popular brands including Barbie, Disney and Nerf. Some great toys to be had are Disney Collection Frozen Castle, Disney Collection Classic Dolls, Barbie Pet Care Cart and Nerf N-Strike Mega Twinshock. Other select toys are sold at 30% to 40% discount. This Shark Vacuum is rated as one of the best in the world of upright vacuum cleaners with great suction power and a long cord that gets you from one room to another without needing to unplug it. And it’s available at the cheapest price across Black Friday deals at JCPenney. Don’t forget that JCPenney is already running a few appliance deals online and that they’ll be kicking off a few other online offers on November 18th, although most offers won’t be available until November 22nd. Also note that JCPenney will be offering more $10 coupons over the weekend and that you’ll be able to shop until 10 p.m. on Black Friday. Check with your local store for confirmation as store hours can vary by location.